Westchester County Board of Legislators Vice Chairman Jim Maisano (R, New Rochelle) proposed legislation this week that would ensure that dogs and cats sold by pet “dealers” or “sellers” in Westchester County are maintained in a safe and healthy environment, and his legislation seeks to stop the unregulated flow of puppies from high volume and inhumane breeders and their transporters. “While pet adoption from a rescue group or shelter is always the best route, the selling of pets in Westchester County is a legal business that must be regulated to ensure quality care for the animals,” says Legislator Maisano. “This legislation will help protect the health, comfort and well being of the animals while they are living with dealers and sellers, and stops these businesses from obtaining dogs from puppy mills or disreputable breeders.” Legislator Maisano thanked the ASPCA for its assistance in drafting the proposed legislation. The legislation takes direct aim at the use of out-of-state facilities commonly referred to as “puppy mills,” which are known for deplorable conditions. “My family is actively involved with animal rescue, and we’ve seen dogs that have been used for breeding from this type of a facility,” says Legislator Maisano. “It is without question they are inhumane and unconscionable.” The proposed legislation requires that pet dealers and sellers maintain records that prove where the animals came from. New York State recently authorized county and local governments to pass legislation regulating pet dealers and sellers. Additional provisions in Legislator Maisano’s proposed legislation include how and what the animals are fed and the standard of their living conditions. The legislation mandates that the pets receive a veterinary examination within five business days of arriving at the dealer or seller facility. 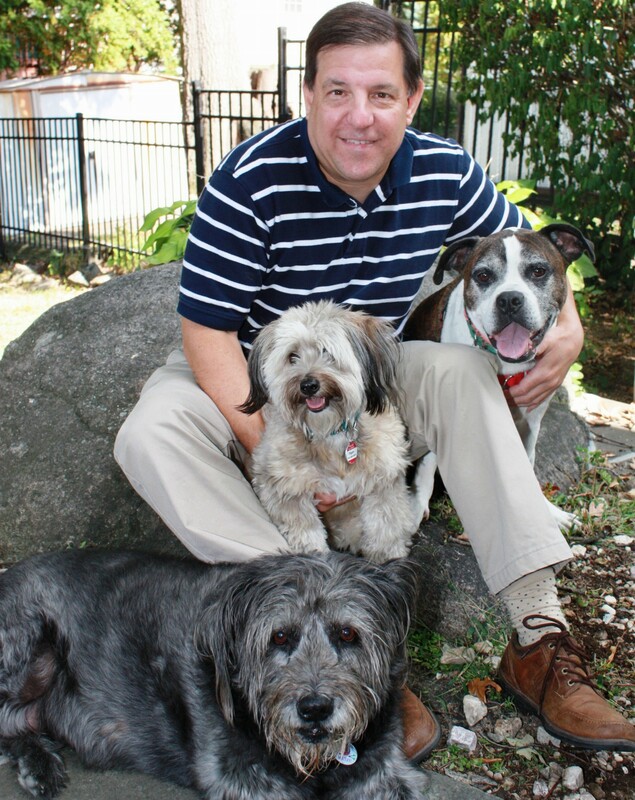 Legislator Maisano and his family volunteer as a foster home for NY Pet Rescue and have welcomed countless dogs into their lives while the dogs await adoption. See photo above of the dogs living with the Maisano Family – to the right of Jim are two foster dogs they adopted, Marlee and Pippin, and to the left of Jim is Bo, who they are currently fostering and he is available for adoption (click on photo to see larger image of these cute dogs). Great to see you behind such an important cause!